People are the same here when the sun is out it is like a mini party! 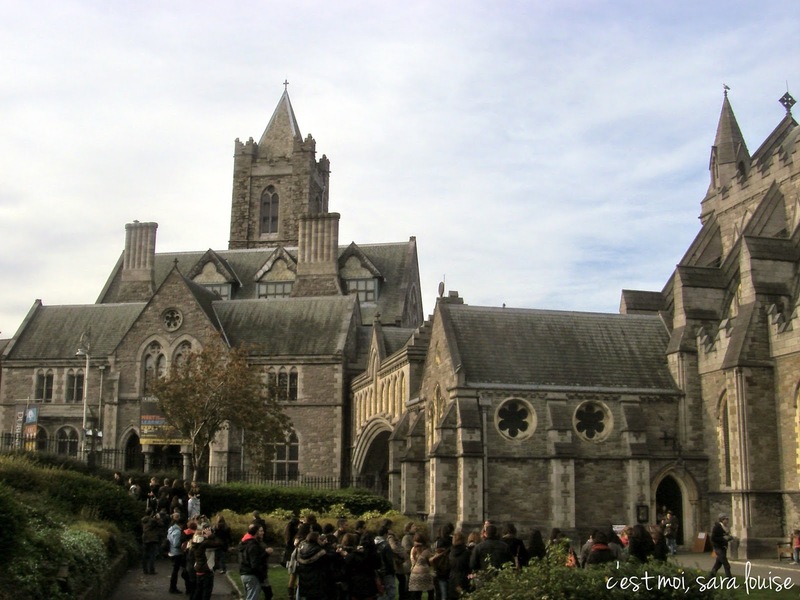 I went to Dublin for the first time last summer and although I was only there four days, I got the same impressions on most of the points that one can pick up in a short visit. And we had the most fantastic weather -- it was July -- while it was raining and cold all over France! It would be great to go there at Christmas as it sounds magical. Though I lived in the west,I was in Dublin often with work. It's a lovely old city and in many ways reminds me of my hometown, Boston. Sorry, my iPad is acting up...can't finish comments. I never went to Temple Bar until my leaving 'do' and we had a blast! Not a huge fan of ugly hens and stags myself, but ignoring that the area was packed with so much going on which was perfect for our group on the night. Anyway, thanks for this post. Indon't always miss Ireland but you've managed to make me a bit nostalgic today. This is beautiful! I loved visiting Dublin when I went recently. Ireland just was so friendly and charming to me. I've always wanted to go to Ireland. Now, I really want to go. Very interesting post (I wondered how you ended up in Ireland). I am dying to visit Ireland, it is pretty much on top of my list. I have read so many books and watched many documentaries but I have never been there and I have no explanation why. So now I am dying to read more of your insider knowledge because I am hoping to visit next year! I haven't been to Dublin, but I was SO surprised by the quality of the food in Doolin. It wasn't what I was expecting at all! Dublin is on our list for 2016 - that seems so far away now, but since the last year and a half flew by, I'm sure it'll be here before we know it! I bet Christmastime in Dublin is beyond epic! I really would love to visit Dublin within the next 18 months. Thank you for sharing!! This is awesome! I have always wanted to go to Dublin :) Thank you for sharing!